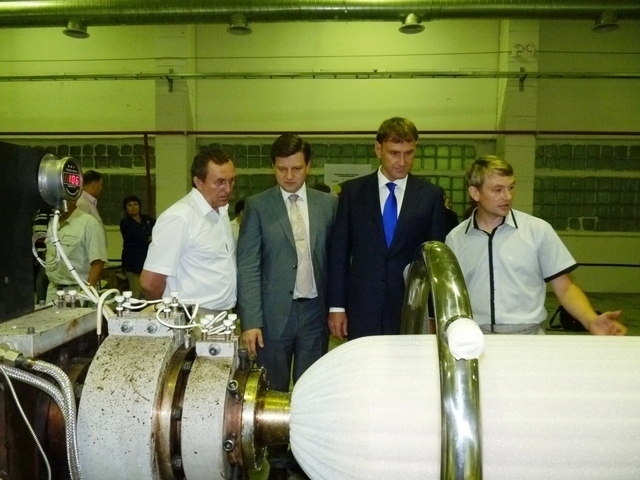 July 5th opening production of the Krasnoyarsk plant insulation materials (LLC "KZTM"), which will launch production of polyethylene foam. KZTM became the first resident of the industrial park in paragraph Podgorny. Industrial Park was established jointly with JSC "Krasnoyarsk Machine-Building Plant" in the squares of a chemical plant (branch of "Krasmash") in the Piedmont section. "When choosing a site for the production we were interested in two criteria: the size and energy. Here in the Intermediate Tank Farm, we were offered the most favorable terms, repaired body established communication. During the three years we plan to recoup the investment. Has already signed agreements with several construction firms" — said the director of "KZTM" Vitaly Kirillov. The next production, placed in the Intermediate Tank Farm, will be a joint project with RUSNANO — LLC "Polikeramoplast" that will produce materials of high molecular weight polyethylene.